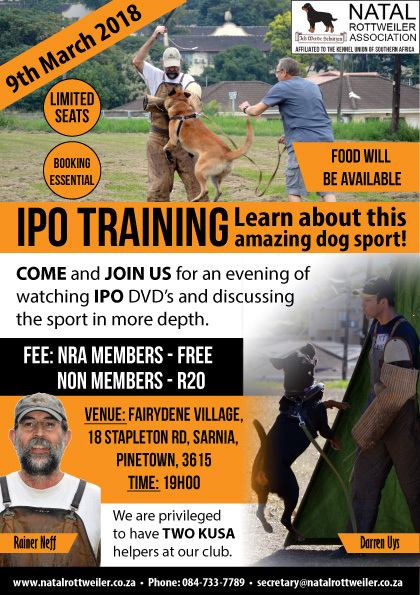 Come and join us for an evening of watching IPO dvd’s and discussing the sport in more depth. Contact us to make Bookings. Limited seats.